The core is where most of the body’s power is derived. It provides the foundation for all movements of the arms and legs. It must be strong, have dynamic flexibility and function synergistically in its movements in order to achieve maximum performance. This course discusses in detail all the different muscles of the core, how to properly train the core, tests to evaluate your clients’ core stability and functional core routines for runners, cyclists and the everyday Joe, or Jane. After your purchase of this course, NFPT will verify your registration information and then send you an email confirmation and instructions for accessing all course material and the test through your personal NFPT online account (this can take up to 24 business hours. However, your receipt of purchase will be sent immediately). When you pass the test, you are instantly awarded your certificate of completion for printing and display. 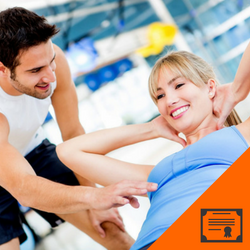 If you are an NFPT Certified Personal Trainer, your continuing education credits (CECs) automatically post to your account.